Does a 9 to 5 day-to-day, desk job sound like a snooze fest? Spending every day in a cubicle can be draining, especially for people who fantasize about traveling. The good news is that it’s possible to seek out a career that allows you to roam the world. Some occupations quickly come to mind when you hear the world travel: airplane attendant, cruise line worker, pilot, truck driver, stagehand, and many business-related careers. Here are a few that may surprise you: athletic recruiters, construction managers, diving instructors, international aid workers, and working as a truck driver. Health risks and other challenges that may arise from traveling jobs are often a thought pushed out of the mind when the pull of roaming the world takes over. All of these occupations have one obvious thing in common; traveling is a highlighted part of the job description. There’s no doubt that you have at least one Facebook friend who unashamedly posts plenty of pictures of their destinations. It seems that they’re living the life, doesn’t it? Sure, there are an abundance of perks to “landing” a traveling career, but many sacrifices are attached too. Scott Cohen, the director of research of the School of Hospitality and Tourism Management at the University of Surrey shares that it may be time to send your jealousy packing. Based on a data collection of 15 years on studies of frequent travel, he has found that these mobile elite experience psychological, physiological, social, and emotional consequences. Too often, society overlooks these detriments and instead, glamorizes this lifestyle. One major barrier that specifically truck drivers (in addition to other traveling jobs) face is the difficulty in seeing a doctor, within a reasonable amount of time, that can provide an accurate diagnosis. Fortunately, an incredible kind of technology known as telemedicine has helped alleviate this issue. In recent years, there has been a significant growth in the number of walk-in clinics at truck stops. Chains like Pilot Flying J and TA-Petro have included health clinics in some of their new locations. Here, drivers can quickly see a physician or practitioner and get back on the road. Sometimes, truck drivers have difficulty finding parking or the travel clinic might be closed. Smartphones allow truck drivers to connect with the doctor through a normal phone call or a video chat. Even more convenient, some health care providers can call in a prescription to a pharmacy near the truck driver or en route to the next destination. One specific telemedicine service is known as Online Doctor Visit. Truck drivers can converse with a doctor in the state in which the they are driving. Not only is the truck driver included on the plan, but the rest of the family can be too. If a driver’s wife is home with the kids and one of them becomes ill, she can simply connect to a physician through the app. Truck drivers often experience fatigue, putting them at risk for colds, the flu, and other diseases. 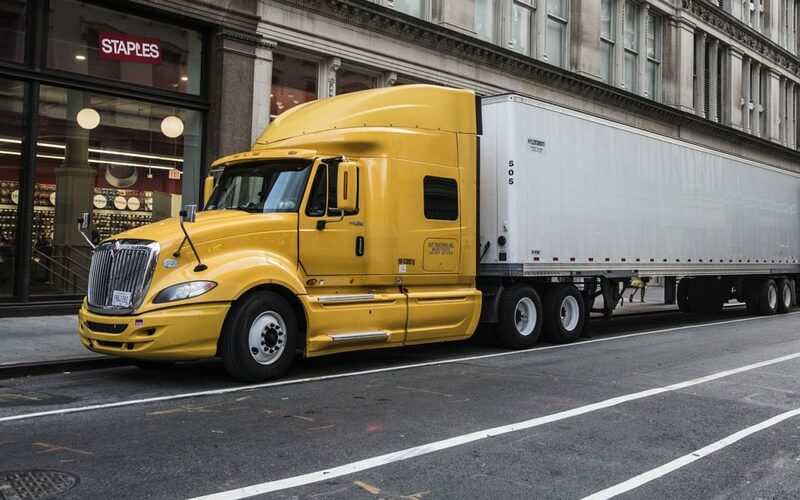 With telemedicine and walk-in clinics at truck stops, their health is being prioritized. Without truck drivers, a majority of our food and other products would not reach their destinations. It’s critical that we take care of these individuals who sacrifice days, weeks, and even months at home with their families by making their health a priority.